Professional Maestro 50/50 Snooker Cue - SAVE £83! Birds Eye Maple front splice set against contrasting red veneer with 3 additional veneers at back and sides. 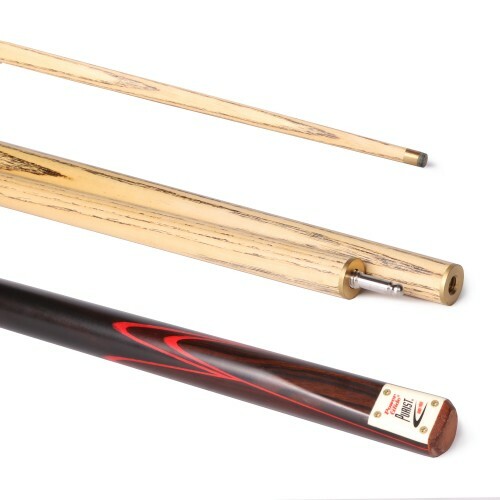 Hand made Purist 50/50 split cue weighing 17oz. PowerGlide Cues combine the latest manufacturing technology with long experience and a real understanding of the requirements of top players.